Six years in the planning and making, The Ark Encounter exhibit opens July 7, although the word "exhibit" might be understating it a little. 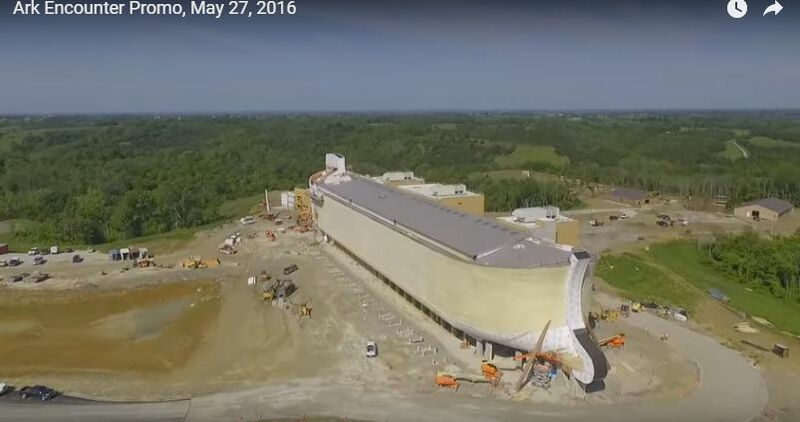 The Answers in Genesis Creation Museum just over the state border from Cincinnati in Kentucky has almost completed their life-sized replica of Noah's Ark, ready for thousands and thousands of visitors from all over the world. More from Wikipedia. 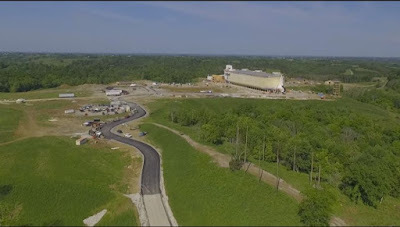 The Museum itself is about 45 miles from the Ark Encounter Theme Park. Here are a couple of still shots from their May 2016 promo video. Does it matter whether we believe the creation account and its immediate aftermath literally? Isn't the Gospel of Jesus and His Crucifixion more important, anyway? No. Genesis: Does it Matter? But God did not leave humanity in that position. He made a promise to Adam, that a redeemer would come and crush that ole serpent's head. (Genesis 3:15). This is the protoevangelium, First Gospel, Sadly, over time, man's sins piled up so that only Noah, a preacher of righteousness (2 Peter 2:5) was found to be acceptable to God. He ordained that all flesh on the earth should die, told Noah and sons to build an ark, take two of each animal of its kind and when the time was right, God shut the door. 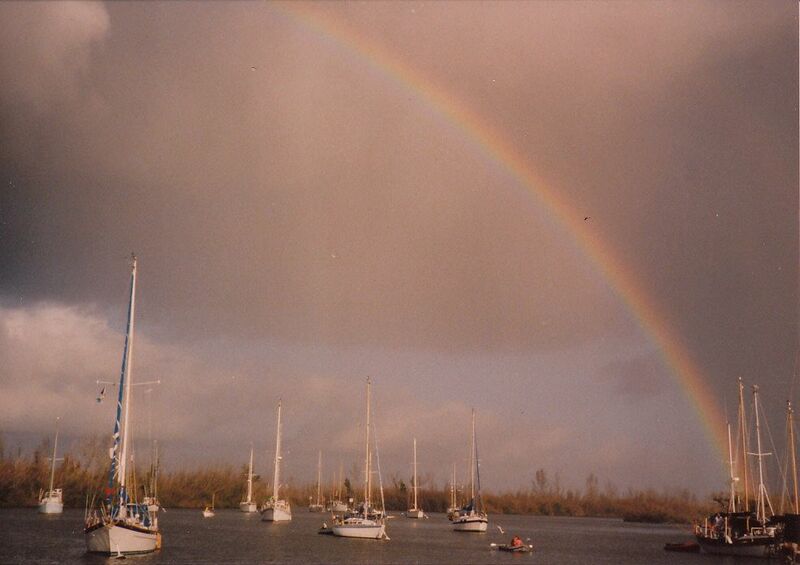 In the rainbow there is a charm, of which every eye is conscious. It looks forth through the dark windows of the storm, and earth rejoices in the reviving visit. Its lovely hues proclaim that the gloom is past. It spans the clouds, as the fair herald of returning clearness. Its noble form, its various shades of distinct and blended color, surpass all praise. Admiration can only say—it worthily magnifies its mighty Maker. Such delights become us. The book of nature is the penmanship of God. Every line should be a sanctifying lesson. Enlightened piety sings, "The works of the Lord are great, sought out of all those who have pleasure therein." 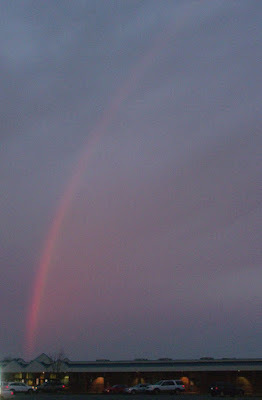 But the shining light of the rainbow teaches far more than that our God is excellent to plan, and almighty to perform. To receive its especial instruction we must ponder its birth. Let us go back, then, and take our station by the side of Noah, when it first awakened his grateful thanks. His feet again trod on the solid pavement of earth. But the sound of rushing torrents had left their echo in his ear. The expanse of desolation had not faded from his view. What had been, might be again. Each gathering cloud might mantle the world in final ruin. Each falling raindrop might open the sluices of another deluge. Thus fears would lodge in his breast; and "fear has torment." Woodrow Wilson's ideal, that America is a place where liberty among men could be ideally enjoyed, is a noble goal and a political goal that has for the most part, in many cases (The Native American, the Black, and the Japanese-American aside) been met. But even with that, liberty among men can never be truly met unless and until Jesus has removed the old sinful creature within us and given him the Holy Spirit. So, we praise the Lord that TRUE Liberty comes in deliverance of our sins, and reconciling us once again to God.